The last three summers have been missing something, haven’t they? It’s been a trio of years since Will Smith last gave us a warm weather blockbuster to anticipate, and it’s too bad that said blockbuster was the uneven, schizophrenic mess called Hancock. 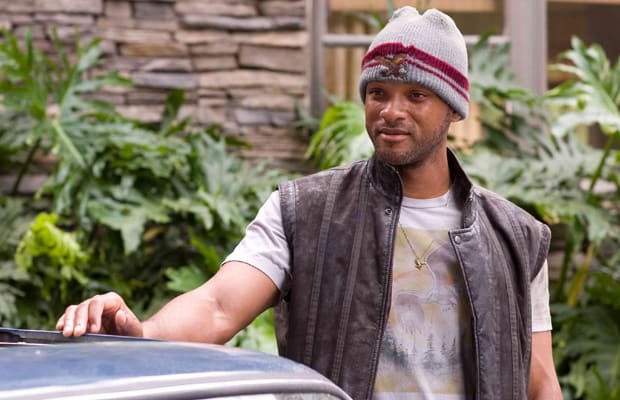 Thanks to that scatterbrained superhero misfire, it’s hard to recall a time when the former Fresh Prince Of Bel-Air was a reliable box office titan, frequently owning the beach season with theatrical beasts like Independence Day, Men In Black (1997), and Bad Boys II. In two months from now, Smith will return from his three-year acting hiatus, in the unnecessary sequel Men In Black III. His 3D reunion with Tommy Lee Jones (another actor worthy of placement on this list, actually) is yet another distraction from the kinds of roles that Smith should be doing more of, characters like the ones he played so damn well in explosion-less dramas such as Ali and The Pursuit Of Happyness. You know, movies that allow him to act, rather than drop snarky wisecracks and run in front of green screen aliens. We’d gladly say goodbye to Will Smith summers of old for another one of those.